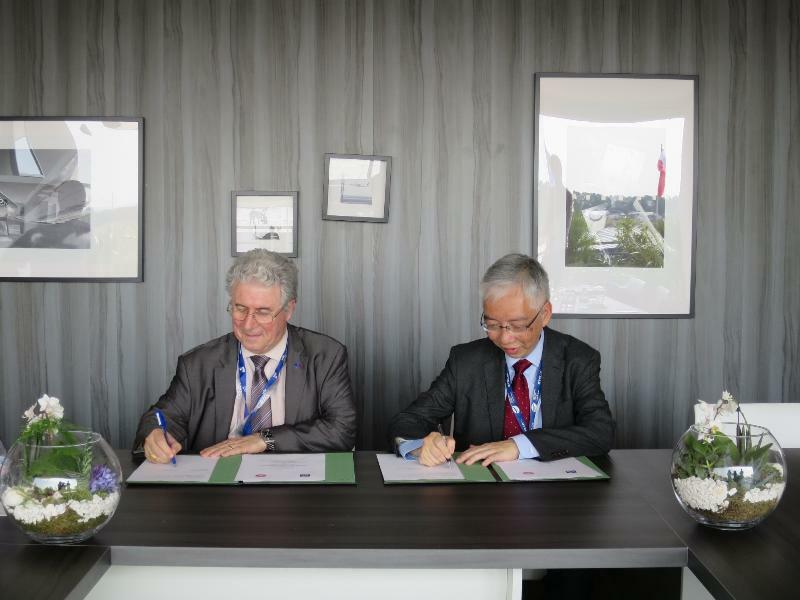 The Permanent Secretary for Transport and Housing (Transport), Mr Joseph Lai, signed yesterday (June 22, Paris time) in Paris on behalf of the Hong Kong Special Administrative Region (HKSAR) Government a Protocol of Cooperation on Capacity Building and Safety Enhancement in Civil Aviation for countries in the Southeast Asian region with the Direction Générale de l'Aviation Civile of France (DGAC). Representing the DGAC was its Director-General, Mr Patrick Gandil. The Protocol of Cooperation provides a basis for Hong Kong and France to conduct further joint efforts on building capacity and enhancing civil aviation safety for Southeast Asian countries which are important social, economic and aviation partners of the two places. 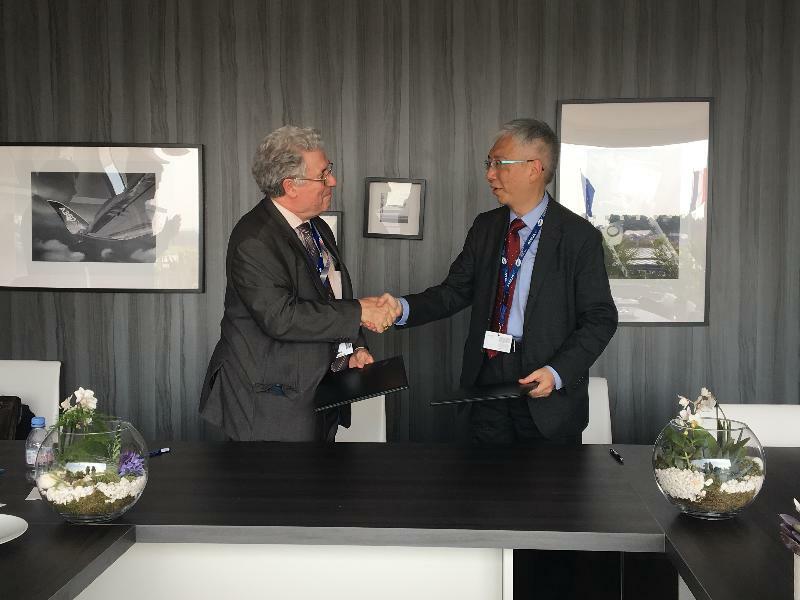 "We look forward to working closely with France to promote civil aviation development in the Southeast Asian region," Mr Lai said. The Protocol of Cooperation is part of the HKSAR Government's efforts in taking forward the Belt and Road Initiative. It also echoes the No Country Left Behind campaign of the International Civil Aviation Organization. 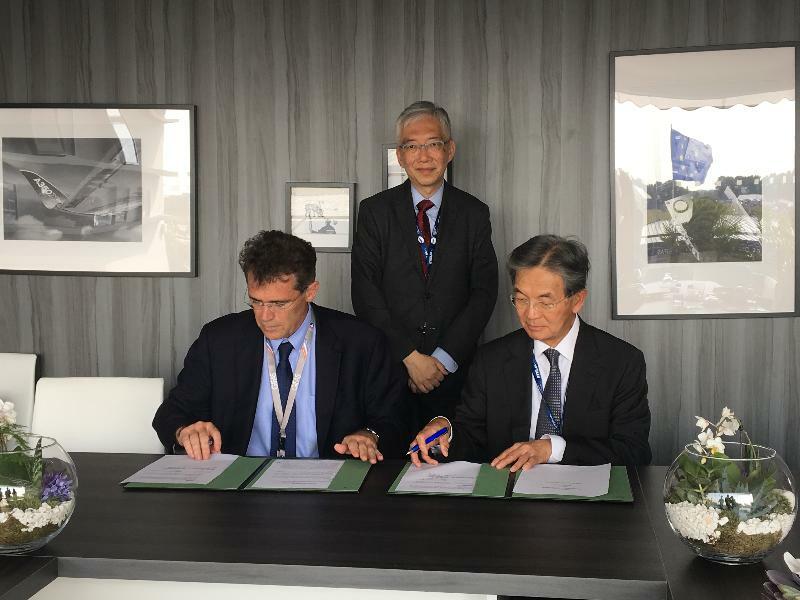 Under this co-operation framework, and witnessed by Mr Lai and Mr Gandil, the Airport Authority Hong Kong and the National School of Civil Aviation of France (Ecole Nationale de l'Aviation Civile) also signed a Memorandum of Understanding today on co-operation details of the joint programmes to be delivered at the Hong Kong International Aviation Academy.